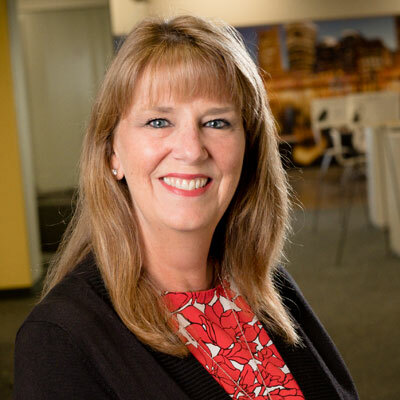 Laurie's professional background is steeped in the IT industry, supporting partner growth and enablement in the unified communications and managed services markets. Beginning her career in strategic partner marketing, Laurie supported the MSFT and HP relationships for Avaya SME, ultimately becoming the business development manager for both accounts. Following an evolutionary path, Laurie then moved into a channel account manager role for national partners and supported strategic alliances for seven years. With a foundation in marketing and sales, she moved into a global channel development support role for Avaya's new product launches. After 10 years, Laurie moved out of unified communications and into managed services at NaviSite/TWC. As the Director of Channel marketing at NaviSite, Laurie's background enabled her to build all programmatics required to support and sell through an indirect channel. Currently, Laurie is the director of North American channel marketing for Jabra where she manages all aspects of partner marketing. Throughout her time in the channel, Laura has been supported by her husband of 30 years and two wonderful daughters. In her first year at Jabra, Laurie has broken the barriers between sales and marketing AND between channel and end customer marketing. This step was necessary to determine which elements of Jabra's channel programs were effective. During her first year, Laura has significantly impacted the channel program by increasing simplification and streamlining processes. She worked with stakeholders across Jabra's ecosystem to simplify promotions and programs positively effecting the Jabra partner community. Additionally, Laurie worked with the global product team to refine and document a global product launch process to ensure success across regions. In partnership with the head of channels, Laurie helped to implement a new approach to funding partners and sellers to gain mutual revenue growth. With her help, the channel enjoyed double-digit growth YOY from 2016 to 2017. I have to admit, I admire my new boss, Sarah Gray. She has quickly moved up the ranks at Jabra and is now is leading the Global Channel Marketing organization. I find her to be insightful, political when needed, and someone who knows how to break down barriers to support what's best for the company and her team. She recently kicked off the Jabra's women network to bring more equality and voice to the women of the company, successfully gaining the attention of our CEO's and many other leaders. The most important advice is to be true to yourself and not to become caught up in what you think the crowd wants from you. When you wake up in the morning, you need to be able to look yourself in the mirror and like what you see. This holds true whether you are 16 or 66. Learning to embrace your authentic self is truly an important skill. We all make mistakes and the big life lessons are the ones that make you nauseous. Embrace them - they will help form the adult you are meant to be. I would like to master social media. The saying "I know enough to be dangerous" is pretty fitting for me. I fully understand and leverage the power of digital, social marketing and selling. However, I am lucky enough to have experts do it for me. I would like to be less dependent on others, so I can become more of a social advocate for my channel. This year, I read Sheryl Sandberg's Option B: Facing Adversity, Building Resilience and Finding Joy. The book was an excellent reminder to always count one's blessings. Life is full of hardships and adversity, but each challenge comes with a lesson to be learned. Finding resilience and joy in those challenges is hard but something we should all remember to seek.